Believe it or not, these little dogs were bred to be pit fighters—but you’d never know it, as they make affectionate companions and lovable pets. But what’s the best dog food for Boston Terriers? What do you feed such a small, yet energetic pet? Let’s talk about that. First, What's a Boston Terrier All About? These little love-bugs are affectionate and friendly—though they’re also intelligent. They can tend to pair this with small spurts of super hyperactivity—which can sometimes get them into trouble (though their cute, big-eyed face will quickly make you forget about it). They’re small, sturdy, and surprisingly muscular. One of their most well-known and well-loved attributes are their large, round eyes—which are set quite a ways apart on the face, just above a flattish nose—and situated symmetrically below two rather large ears. There’s no denying that the Boston Terrier is super-cute. They also make awesome family pets, and do well in apartments. This makes them a favorite among elderly pet-lovers. They’re great around children, but they can also be sensitive—and they require a great deal of care during training. Using the wrong tone of voice at the wrong time with a Boston Terrier can upset them greatly—so make sure to be kind, loving, and motivational during training exercises. 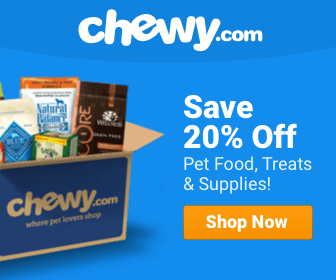 How Much Food Does a BOSTON TERRIER Need? Boston Terriers grow to a height of about 1 foot 3 inches, and to a weight of anywhere from 10 to 25 pounds. They tend to live 13 to 15 years, and have plenty of energy to spare—so proper nutrition is a must! A less-active Terrier will need somewhere around 435 calories per day to stay energized, whereas a moderately active pet of the same size will require a bit more—somewhere closer to 530 calories. A highly active Boston Terrier may need as many as 850 calories or more on a daily basis to stay energized—though it’s important to remember that different dogs might have different needs in terms of a daily caloric intake. Getting to know your dog better will equip you to make healthier choices regarding his/her diet. Boston Terriers can be prone to obesity, as they’ll overeat if given the chance—so keeping an eye on the size of your dog to make sure that he/she is maintaining a healthy weight is definitely advised. Due to their short snouts, this breed is, unfortunately, rather susceptible to respiratory issues. They may grunt, wheeze, and snore quite a bit. They’re also at risk for overheating, and do so much easier than other dog breeds—which makes keeping them out of extreme temperatures pretty important. Here are some other relatively common health ailments that tend to cause issues for the Boston Terrier from time to time. There’s a surprisingly high incidence of deafness within this breed—especially among those that have more white in their coat. 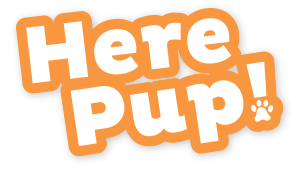 Breeders can have their puppies BAER tested to see if they’re currently experiencing any hearing issues, which is a good idea before sending them to a new home. Proper nutrition can play a big part in keeping your dog healthy—and a diet rich in vitamins, minerals, and essential nutrients can help deaf or hearing-impaired Boston Terriers to cope with their condition. With love, support, and proper care, even deaf Boston Terriers can live normal, healthy, and happy lives. According to this article, posted on vetstreet.com, a heart murmur is detected ‘when a veterinarian listens to a dog’s heart and hears a whooshing sound.’ While discovering that your dog suffers from this isn’t always a reason to be concerned, it’s technically a heart condition and should definitely be taken seriously. In this article, it says that providing your dog with a high-quality, natural, meat-based diet that contains at least 25-30% protein is advisable for preventing and managing any heart-related problems in your dog—including heart murmurs. According to this article, however, this condition can be helped by making sure that your dog gets plenty of Omega 3 fatty acids and glucosamine. These will support the dog’s joints and help to prevent and/or manage the problem. 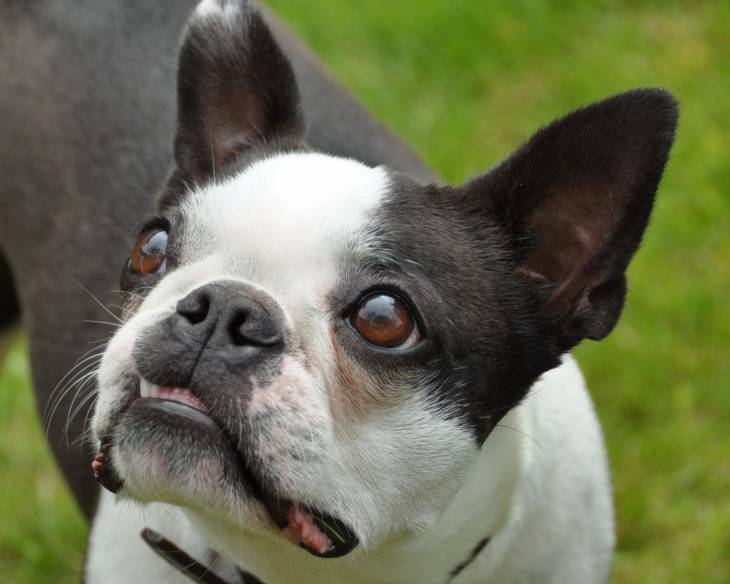 Other possible health problems that can sometimes be common in Boston Terriers include Cataracts, Cherry Eye, Hip Dysplasia, Brain Tumors, Allergies, and Megaesophagus. Boston Terrier puppies are usually weaned between 5 and 6 weeks of age. Most breeders recommend that they stay with the litter for socialization until they’re at least 9 weeks old. This will provide them with an adequate amount of time with their littermates, and will help them to overcome the stress of weaning. Most dogs of this breed will weigh somewhere between 4 and 5 pounds by the time they’ve reached 10 weeks of age. At this stage, it’s important to feed your puppy a diet that’s rich in nutrients and healthy ingredients. As far as calories go, a puppy of this size will need about 190 per day to stay energized. If your pup tends to be a bit more active than usual, this number might be as high as 300 calories per day or more! Remember to make sure that your Boston Terrier pup is getting enough to eat—but also be careful not to overfeed! Keep in mind that this breed can tend to overeat if they’re allowed to, which isn’t good for their overall state of health and well-being. So, What’s the Best Dog Food For Boston Terriers? Boston Terriers might be a smaller-sized dog breed—but that doesn’t mean that they have small nutritional requirements! This is a dog that definitely needs a healthy, well-balanced diet to thrive—which is why we recommend Canidae Grain Free Pure Sea Dry Dog Food for the Boston Terrier in your life. 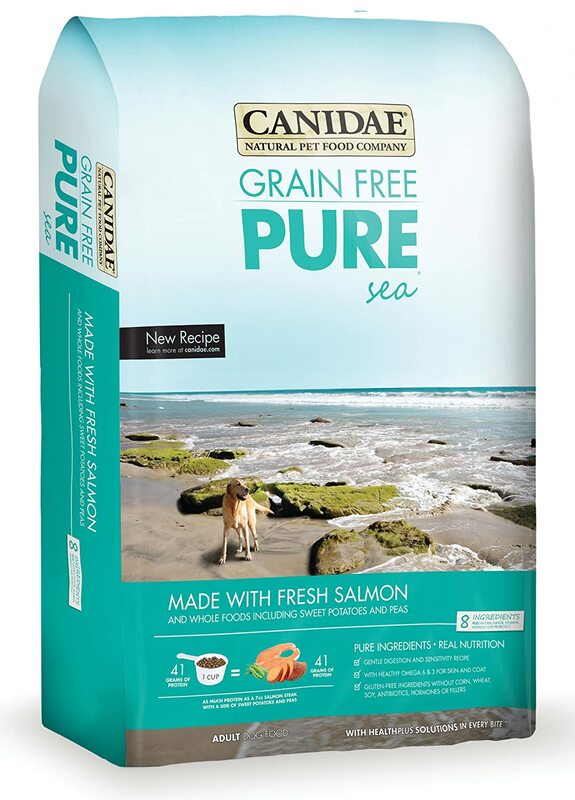 Canidae Grain free Pure Sea is packed with probiotics, antioxidants, and Omega 3 and 6 fatty acids. Probiotics will aid in digestion, antioxidants will help to contribute to a healthy immune system, and Omega fatty acids will work wonders for your pet’s joints (which will help to minimize the Boston Terrier’s susceptibility to Patellar Luxation). This dog food formula is also rated at about 30% protein—which is perfect for the Boston Terrier’s risk of heart-related disease. It’s gentle on the digestive system, contains high-quality fats for skin and coat health, and is even gluten, corn, wheat, and soy free. If you’re looking for an awesome dog food formulation that will support your Boston Terrier in all of the right ways, then I would definitely recommend checking out Canidae Grain Free Pure Sea Dry Dog Food. It contains a number of whole-food, meat-based ingredients—which are awesome for Boston Terrier health in-general, and provide even the most caring dog owners with an option that they can trust for optimal nutrition for their beloved canine companion.